Only 10,319 Miles! Scores 31 Highway MPG and 22 City MPG! Carfax One-Owner Vehicle. This Lincoln MKZ boasts a Intercooled Turbo Premium Unleaded I-4 2.0 L/122 engine powering this Automatic transmission. Window Grid Antenna, Wheels: 19 Painted Aluminum -inc: painted pockets, chrome inserts and unique Black Label center caps, Voice Activated Dual Zone Front Automatic Air Conditioning. 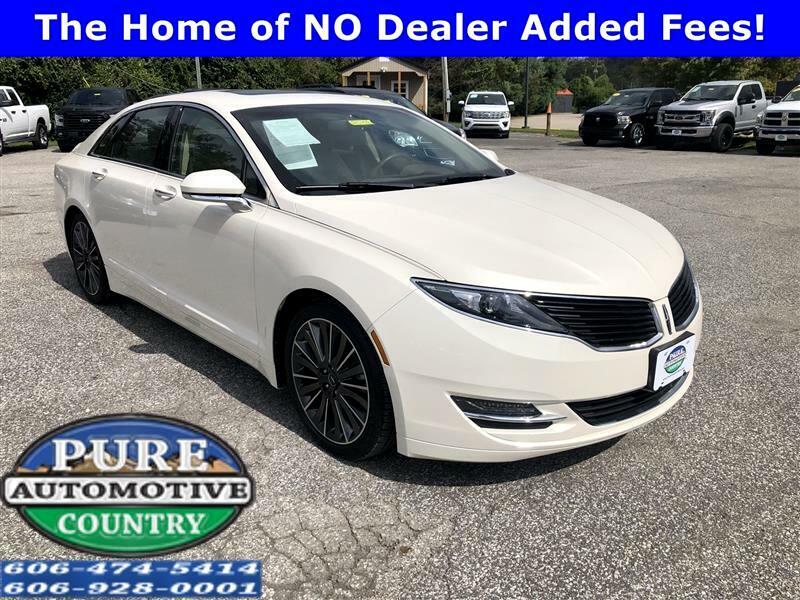 *This Lincoln MKZ Comes Equipped with These Options *Valet Function, Turn-By-Turn Navigation Directions, Trunk/Hatch Auto-Latch, Trip Computer, Transmission: 6-Speed SelectShift Automatic -inc: paddle shifters, Transmission w/Oil Cooler, Tires: 19, Systems Monitor, SYNC w/MyLincoln Touch -inc: voice-activated communications and entertainment system, 911 Assist, Vehicle Health Report (VHR), 8 LCD touch screen in center stack, media hub w/1 USB port, SD card reader, audio/video input jacks (1 phone/primary account) of SYNC services (subscription required), SYNC Services Mobile Hotspot Internet Access. *Feel Confident About Your Choice *According to Carfax's history report: Carfax One-Owner Vehicle, No Damage Reported, No Accidents Reported, 6 Service Records. *Visit Us Today *You've earned this- stop by Pure Country Automotive located at 333 C.W. Stevens Blvd, Grayson, KY 41143 to make this car yours today! The home of NO Dealers Added Fees!